How have I never heard of this?! I’m wondering, how does it attach to tables, etc? So it doesn’t attach to the table- it sits on top. 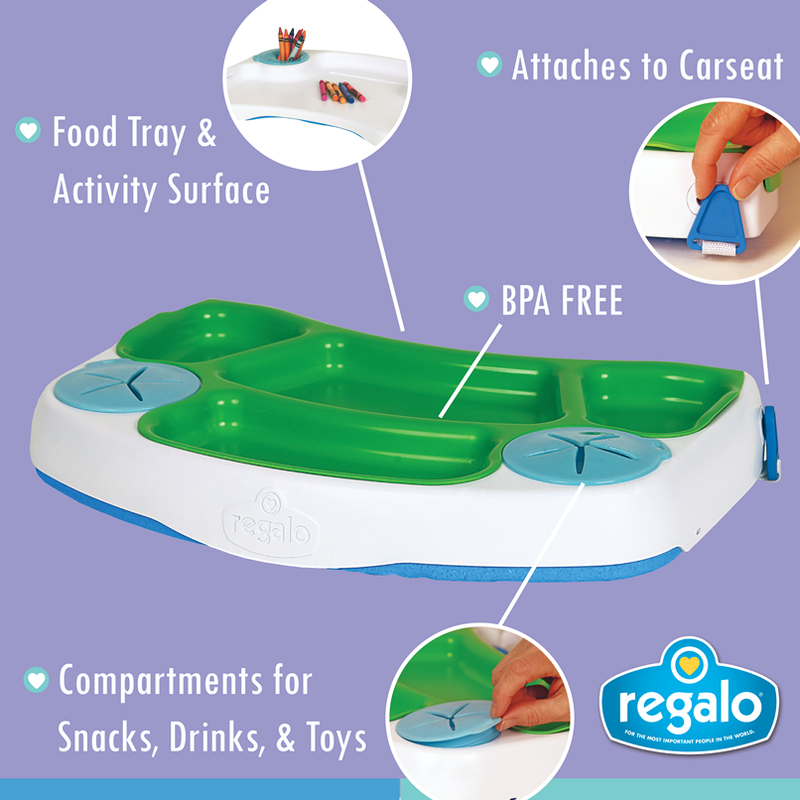 We have a silicone mat that we put under it, but it stays fairly well on its own because of the padded underside. 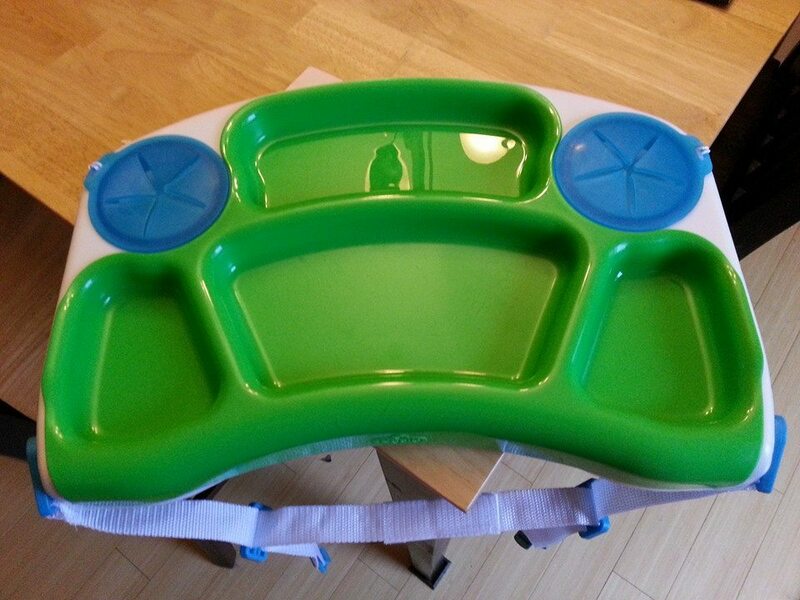 There are straps that hook into the side of the tray that have clips at the end, so you can clip the tray to a car seat or other chair if you want. We’ve never done that, but it looks pretty straightforward.